If, during one of the three times you caught Black Panther this weekend, you stayed through the end of the credits, you may have noticed a special shoutout to Donald Glover and his brother Stephen in the “Special Thanks” section. The Glovers earned the acknowledgment by providing director Ryan Coogler with script notes on the blockbuster film, which shattered records its opening weekend. Coogler revealed in an interview with Collider that the Glover brothers had helped out with the script, noting that the pair focused on exchanges between Wakandan STEM genius (and audience fave) Shuri and her older brother T’Challa. There you have it. Those scenes where Shuri delivers those delicious one-liners to T’Challa (aka “What are thoooooose”)? The Glovers likely had a hand in creating them—and only needed a few hours. I’m also willing to bet they punched up some of M’Baku’s lines, too, but that’s just my own pet theory. Glover also talked a little bit about his role as Lando Calrissian in the upcoming Solo: A Star Wars Story. I mean, it’d be a touch more exciting if the film were called, I don’t know, Lando: A Thirst Trap Tale, but again, maybe that’s just me. 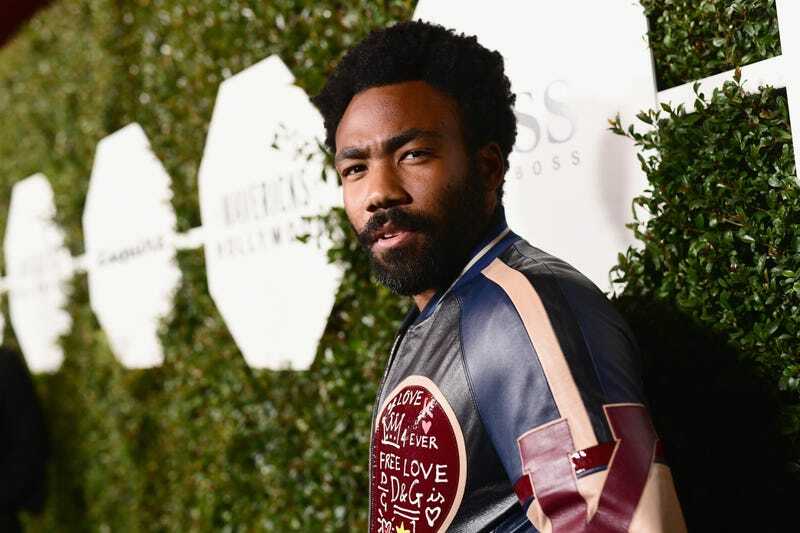 Either way, between his Grammy wins, Star Wars, his contributions to Black Panther and the upcoming premiere of season 2 of Atlanta, Glover is looking all types of golden.